February 9, 2016 – Tyvak Nanosatellite Systems, Inc., a subsidiary of Terran Orbital Corporation, signed a Memorandum of Understanding (MOU) with United Launch Alliance (ULA) to serve as the primary Auxiliary Payload Customer on CubeSat Rideshare Initiative efforts through December 31, 2019. ULA’s CubeSat Rideshare Initiative enables rideshare opportunities on its Atlas V launch vehicle and aims to tap into a growing market of small satellites with applications in education, scientific research, U.S. Government and commercial business. 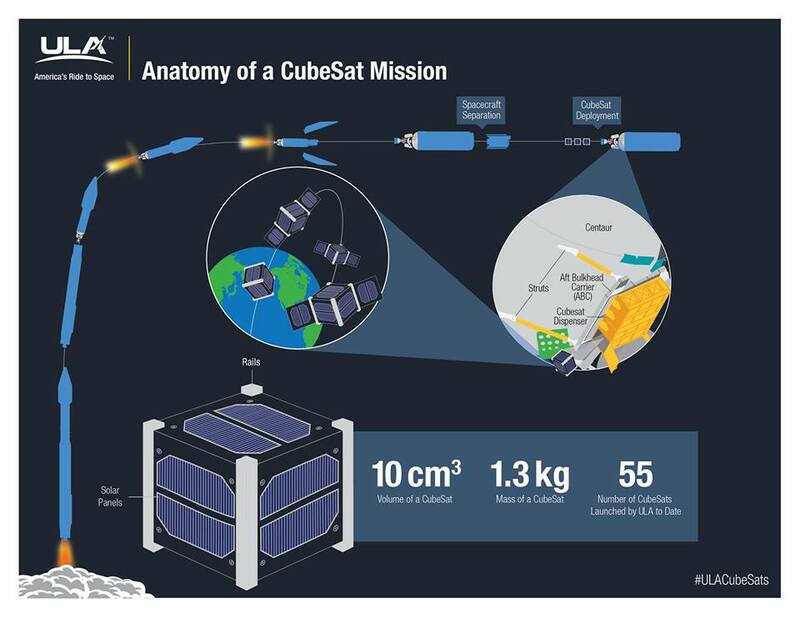 CubeSats are miniaturized satellites originally designed for use in conjunction with university educational projects and quickly becoming a dependable tool for advance missions. CubeSats are made of one or more units, called U’s, measuring 10cm x 10cm x 10cm with a mass of 1.33 kilograms. Under this MOU, Tyvak will provide low-cost access to space for both commercial and U.S. Government CubeSat customers, as well as no-cost access to space for Science, Technology, Engineering and Math (STEM) CubeSat customers for rideshares on ULA’s Atlas V launch vehicles. Tyvak is responsible for identifying, obtaining, and integrating CubeSat customers on the ULA Atlas V launch vehicle system. In addition, as part of the agreement with ULA, Tyvak will provide for no cost up to three STEM CubeSat slots for each Atlas V 24U capacity launch opportunity for educational customers.